Max Irons in the new Audience Network thriller, Condor. 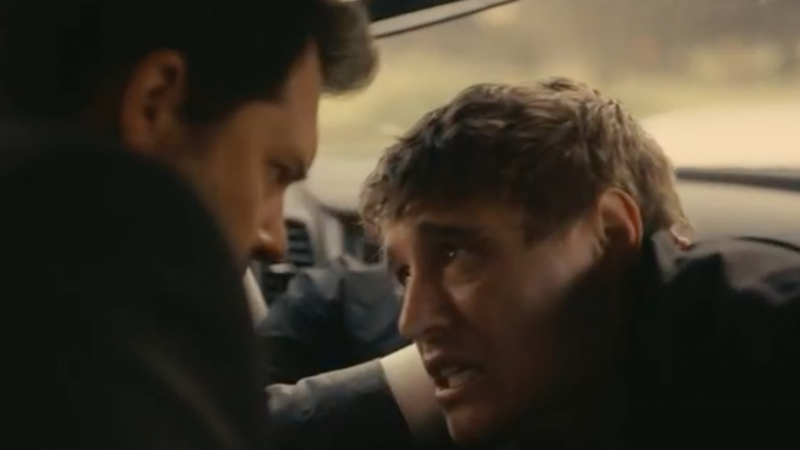 When the new AT&T Audience Network series, Condor, lands in June, you may find yourself saying "Poor Joe" about CIA analyst Joe Turner (Max Irons). In the 10-episode conspiracy thriller—based on James Grady's 1974 novel Six Days of the Condor and its 1975 Robert Redford-starring film adaptation Three Days of the Condor, written by Lorenzo Semple Jr. and David Rayfiel—Turner finds himself between a rock and a hard place when something he discovers gets his entire office killed. Joe, being the only survivor, has to go on the run, coming up against moral dilemmas and the unbelievable challenge of stopping a plot that could kill millions of people. The spy thriller starring Mira Sorvino and Max Irons is coming soon. Besides Irons—son of acclaimed actor Jeremy Irons and actress Sinéad Cusack—the series, which premieres June 6, also stars Mira Sorvino, Brendan Fraser, Bob Balaban, Leem Lubany and William Hurt. Condor, Premieres Wednesday, June 6, 10/9c, AT&T Audience Network.